It's been a while between blogs, my apoligies! We have just added some cute Bunny designs to our range for Easter and to celebrate we have a speicial promotion. 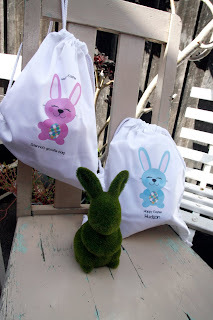 When you spend $50.00 online (excludes freight) from the 19th March until 2nd April 2012 or until stock runs out...we will be giving away one of these extra cute Personalised Bunny Mini Tote Bags for FREE. Valid one per customer per transaction. 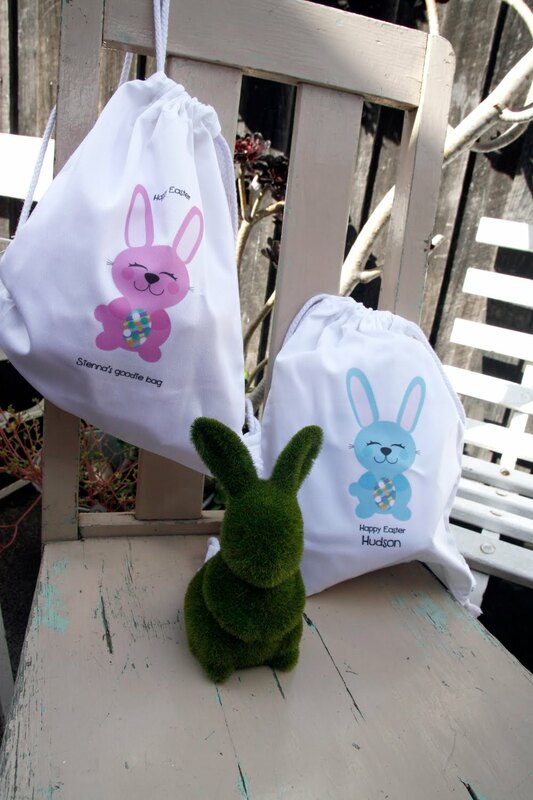 Choose from our Blue or Pink Bunny design and state name and colour choice in checkout (other comments section) These are also available to Purchase for $14.50 each. Stocks are limited as they are all handmade here in Melbourne.